Verizon Wireless recently added the LG Optimus Exceed 2 to its roster of prepaid phones. The Exceed 2 is a rebranded variant of the L70, which LG introduced earlier this year and is already being sold by MetroPCS. The Exceed 2 runs Android 4.4 KitKat and comes with LG's user interface enhancements, including Knock Code, KnockON, QuickMemo and QSlide apps. The display, which measures 4.5 inches with 800 x 400 resolution, it slightly larger than the original Exceed's, but the device loses support for Verizon's LTE network. It can only access 3G data. The Exceed 2 is powered by a dual-core 1.2GHz processor with 1GB of RAM. It has 4GB of internal storage, a 2,100mAh battery, and a 5-megapixel with WVGA video capture. The Exceed 2 also includes Bluetooth 4.0, GPS, and Wi-Fi. 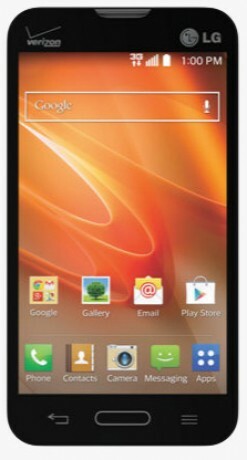 The LG Optimus Exceed 2 carries a full retail price of $250, but Verizon is selling it for $80 with its prepaid plans. It is available immediately.